Financial companies like yours have been so successful over the past 15 years (we know—we’ve tracked the phenomenal growth of our companies) that probably one of the biggest problems you face is finding even more funding, so you can provide more loans to more people. And securing loans for investors can quite frankly be a hassle. Investors want to know which loans they are getting; what the return on investment is; how many loans are delinquent in their payments; how many loans are nearing payoff; etc. GOLDPoint Systems has screens, functions, and reports that make establishing asset-backed securities a fairly simple, straight-forward process. The first thing you need to do after finding investors is to set them up in the Investor system in CIM GOLD. The Investor system is used to tie an investor to various groups of loans. 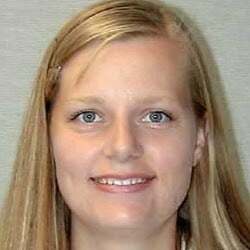 One investor, such as Wells Fargo, may require that loans be grouped by certain guidelines. 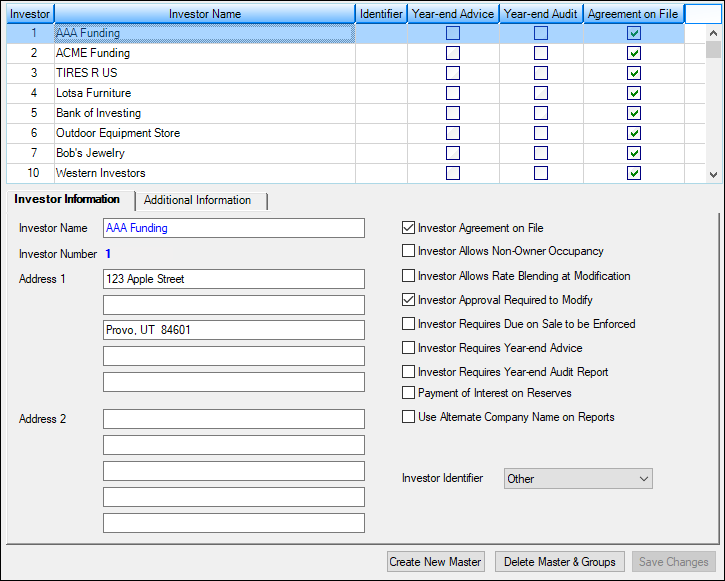 The Investor system allows you to create an investor master record, which can then be tied to various investor groups. Each group is subsequently tied to the individual loans. See the Investor Reporting Screen Group section on DocsOnWeb for detailed information concerning this process. 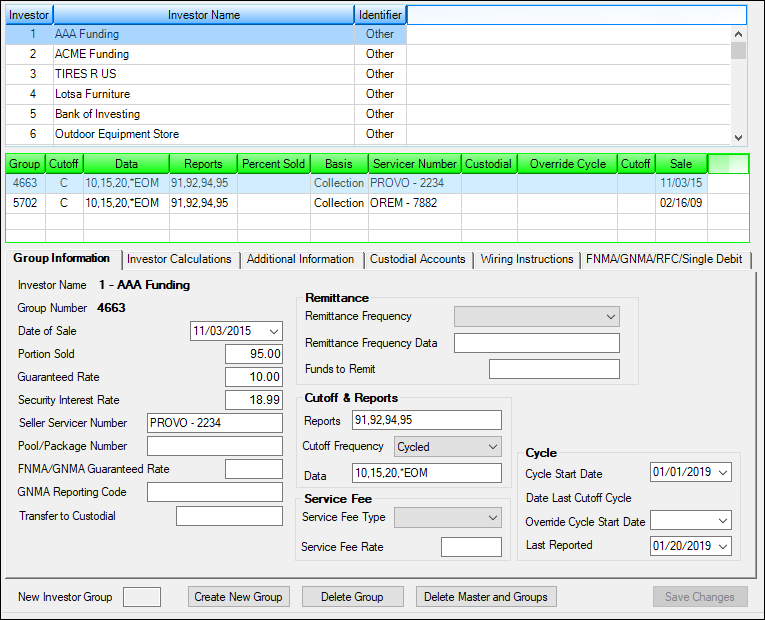 However, starting in CIM GOLD version 7.9.3, we have created a new screen that can quickly connect established loans with investors for securitization purposes. A new screen is available, Securitization, under Loans > Investor Reporting in CIM GOLD. This new screen allows you to quickly assign loans to an Investor Master and Investor Group. Security for this screen should only be given to supervisors responsible for Investor (Secure) loans. 1. 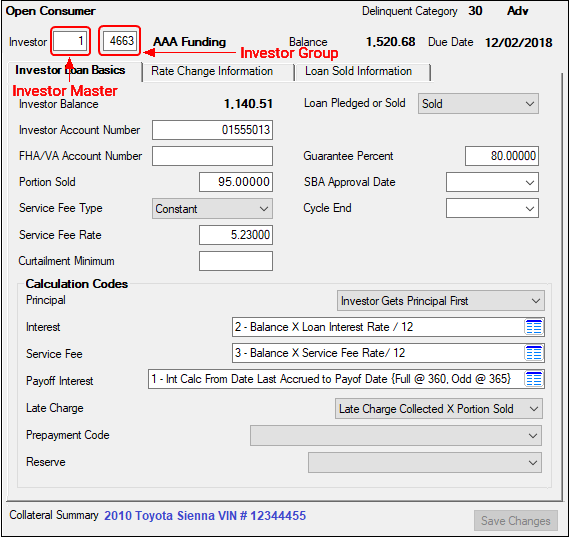 Use a spreadsheet program, such as Microsoft® Excel, to enter the loan investor master number, the loan investor group number, and the account numbers assigned to each. 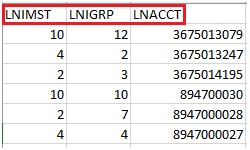 This spreadsheet must be organized into three columns with the headers LNIMST (for the Master number), LNIGRP (for the Group number), and LNACCT (for the Account number). 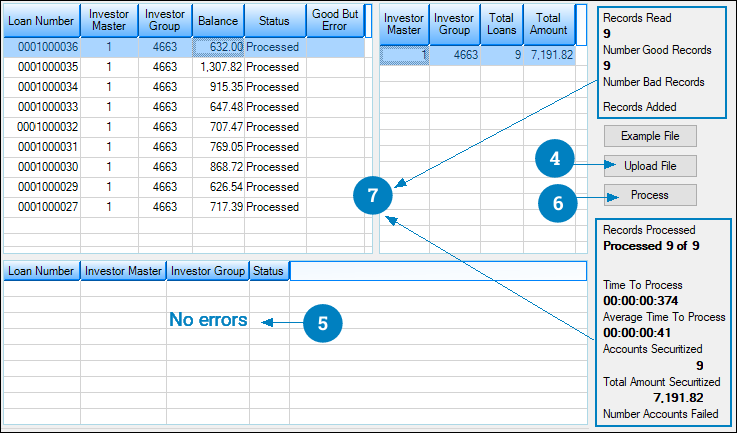 Valid Investor Group and Master numbers can be found on the Loans > Investor Reporting > Investor Group screen. Investor Groups must be tied to a valid Investor Master. Account numbers should include the office number but not the check digit. 3. Save the file as a tab-delimited text file and close the spreadsheet program. 4. Upload the file by clicking the <Upload File> button on the Securitization screen in CIM GOLD. 5. Any errors with the file upload will be displayed in the bottom list view of this screen. If any errors exist, correct those errors in the spreadsheet, save, then retry uploading. 6.Once the accounts are uploaded with no errors, click the <Process> button and those accounts will be assigned to the designated Investor Master and Group in CIM GOLD. 7. The fields on the right side of this screen display basic information related to this process, such as the number of records read/processed/added, how many records were good and bad (failed), processing time, number of accounts securitized, and total amount securitized. And many more reports, as well as the ability to set up your own reports using GOLDMiner. But possibly the most exciting thing we have created for investors is a web-based Investor Portal. This portal shows all loans connected to an investor, and your institution can easily send security authorization and a URL address to investors, so they can quickly look at the current status of accounts. Please see next week’s blog post about this amazing new feature. And for more information about all our investor tools, contact your GOLDPoint Systems account manager. 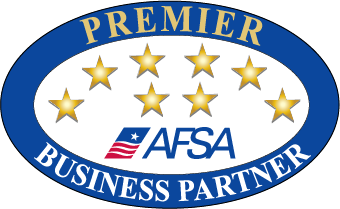 If you are not currently one of our amazing institutions using our product, contact us today for a demonstration.